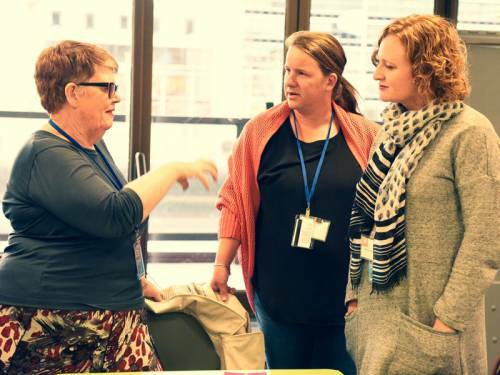 NEW YORK (PNS) — Doreen Alefaio was on the grounds of the United Nations checking messages on her phone when she realized what was happening back home in New Zealand. “For the next few moments they held hands and cried together at the United Nations, worlds apart but united in grief for the events taking place,” Steph Redhead, Alefaio’s fellow New Zealand delegate to the 63rd UN Commission on the Status of Women (CSW), wrote on her blog, reflecting on being more than 9,000 miles from home when senseless tragedy put her country in a rare global spotlight. Just one day earlier, Alefaio, Redhead and six of their fellow Presbyterian delegates to the CSW were reveling in the global fellowship of their faith, joining in morning worship at the UN Church Center, which includes the offices of the Presbyterian Ministry at the United Nations (PMUN), attending discussions and events and taking in the global experience of the annual commission. And it was quite a venture as most of the participants endured two- and three-leg, 24 hour-plus journeys to get to New York for the commission. Though New Zealand is a nation of 4.5 million people and is roughly the size of Colorado, some delegates did not meet each other until they arrived in New York. 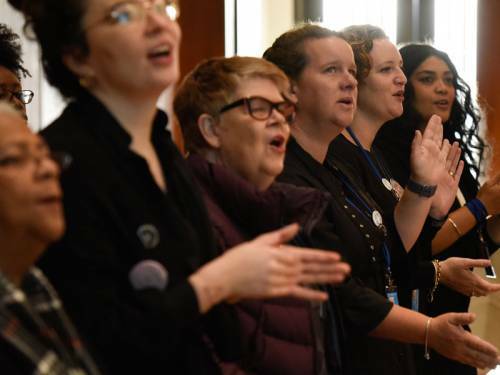 The eight-person group is something of a combined delegation of Presbyterian and Methodist Women, a union that has existed in various forms since 1985. By pooling their resources, the group — six Presbyterians and two Methodists — have been able to take on projects outside of their country in places such as Africa. By definition, the Presbyterian Church in New Zealand is not the Presbyterian Church (U.S.A.). But the two have sought to work together, as PC(USA) does with many entities outside the United States. And the delegates from New Zealand embraced the around-the-world aspect of the Commission, which concluded Friday, even if it sometimes seemed a bit focused on the northern hemisphere. “Everything we see about world events happens through a media lens, so when we hear about what’s happening in occupied Jerusalem, when we hear about the plight of human trafficking, it can just be information that’s fed to you through the news, and then you carry on, eating your dinner,” Redhead said after the March 13 dinner. “You’re trying to get your head around it, but you’re only getting the information that comes through the media lens. Little did she know that a little more than 24 hours later, she and her fellow delegates would be a window into their nation as it endured tragedy. 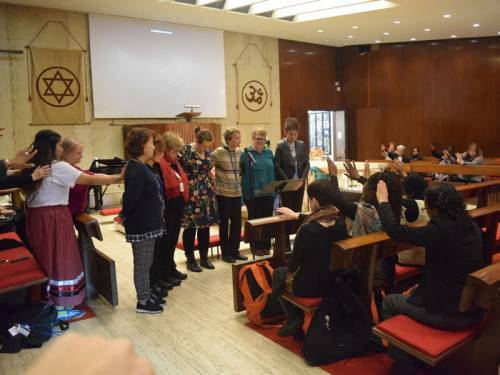 That Friday morning was the Presbyterian Church (U.S.A.)’s turn to present 8 a.m. worship in the UN Church Center, and the New Zealand delegation found itself in the embrace of fellow Christians who mourned with them and lit candles for the victims of the terror attack. Though they were encouraged by New Zealand officials at the UN to remove any outward sign of where they were from, for their safety, the delegates found their accents were frequently a giveaway, and often felt themselves in the embrace of fellow Commission on the Status of Women delegates. And at the female-focused event, the New Zealanders found themselves able to take some pride in the woman leading their nation through the crisis, to international rave reviews: Prime Minister Jacinda Ardern. And it put a bit of an exclamation point on New Zealand’s overall pride in its role advancing the rights of women. The night after the Church Center interview, Methodist delegate Dianne Claughton of Christchurch delivered a handwritten note that recalled 2018 as the 125th anniversary of women having the right to vote in New Zealand – more than a quarter-century ahead of the United States – and the pioneering role of Kate Sheppard, the leader of that movement.